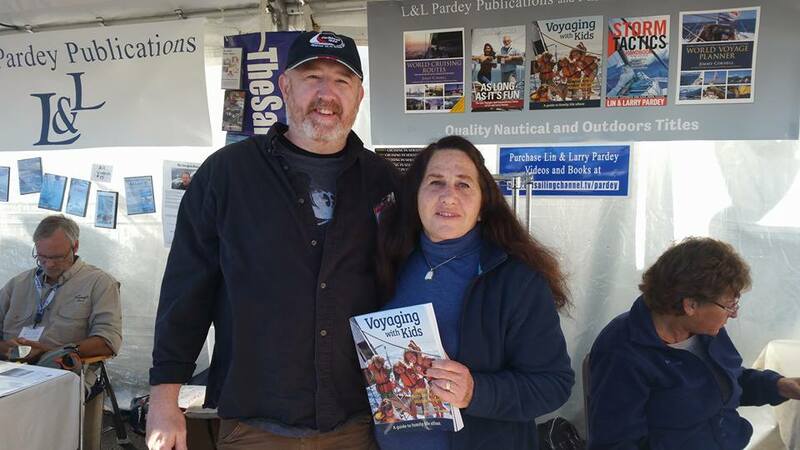 Your host posing with Lin Pardey and her new book “Voyaging with Kids” at the United States Sailboat Show, Annapolis, MD October 2015. Welcome to the 39th episode of The Shooting The Breeze Sailing Podcast in which we have a conversation with sailing and cruising legend Lin Pardey. We caught up with Lin at the United States Sailboat Show, in Annapolis, MD back in October of 2015. We talk a bit about her new endeavors in book publishing, with her new title “Voyaging with Kids,” how she is really and truly a sailor and writer completely by accident, and how life has continued to be interesting and exciting even after all these years. It was a pleasure to meet up with Lin, one of my original wishful thinking guests here on the podcast. To listen to the episode, click and download the following LINK!